I started putting together the melon blocks. 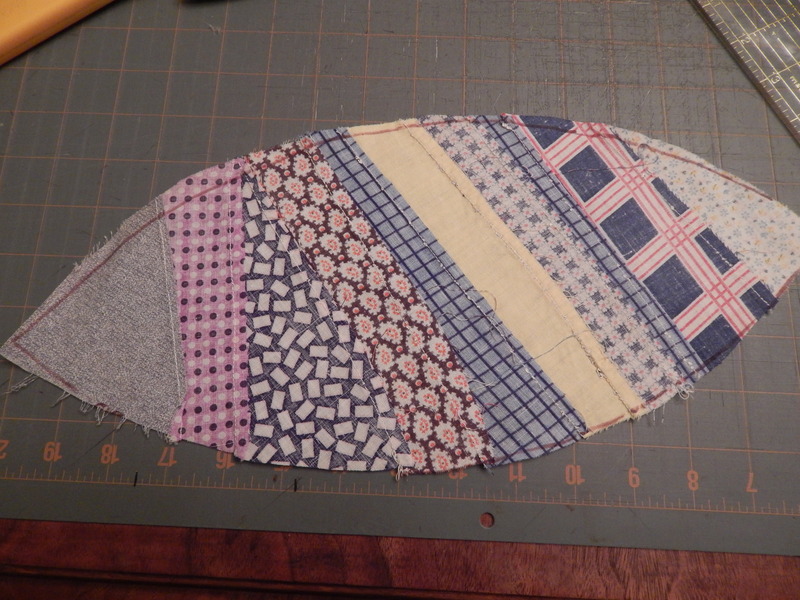 The first thing I needed to do is make a pattern. 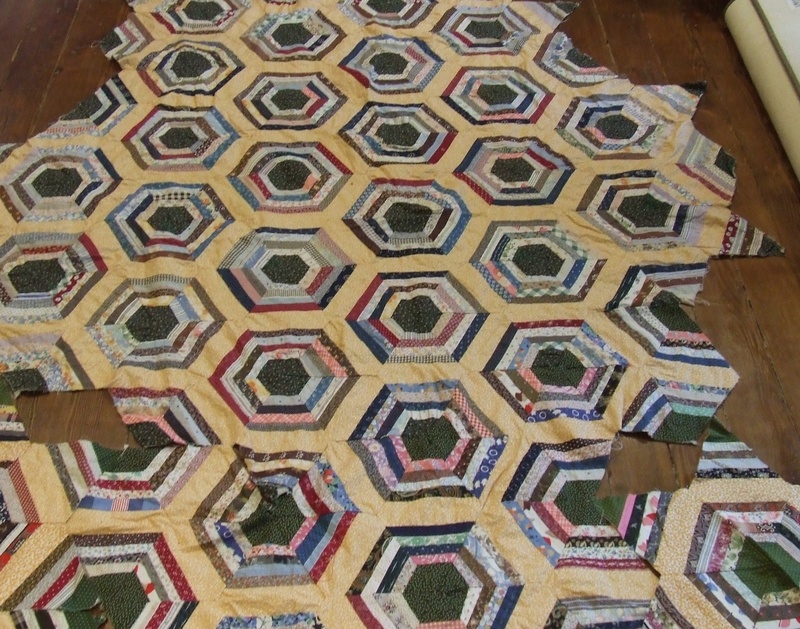 All of the melons were slightly different and I needed to get them all to the same size so that once pieced the blocks would lay flat. Here is the template I came up with placed on top of one of the melons. you can see that it needs trimming. Some of the melons are more off then this and some are nearly perfect size. 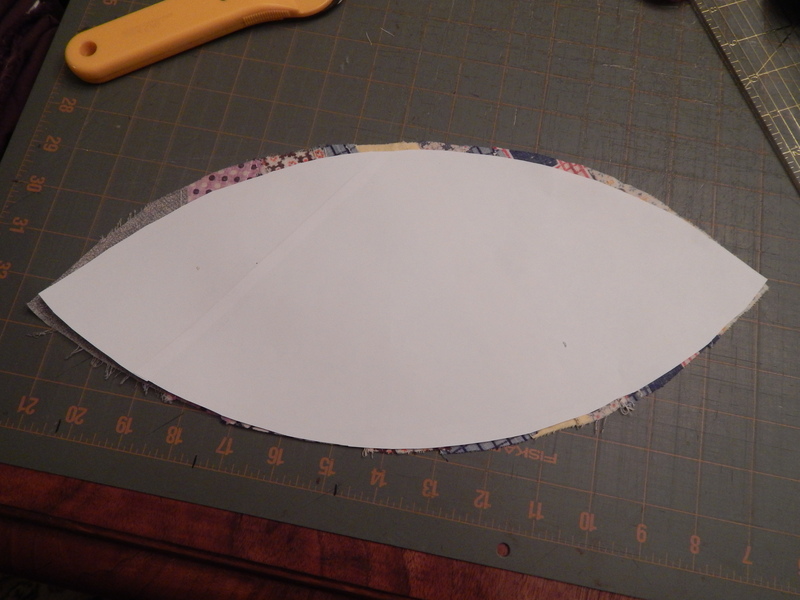 I trace around the template to see what I have to trim. 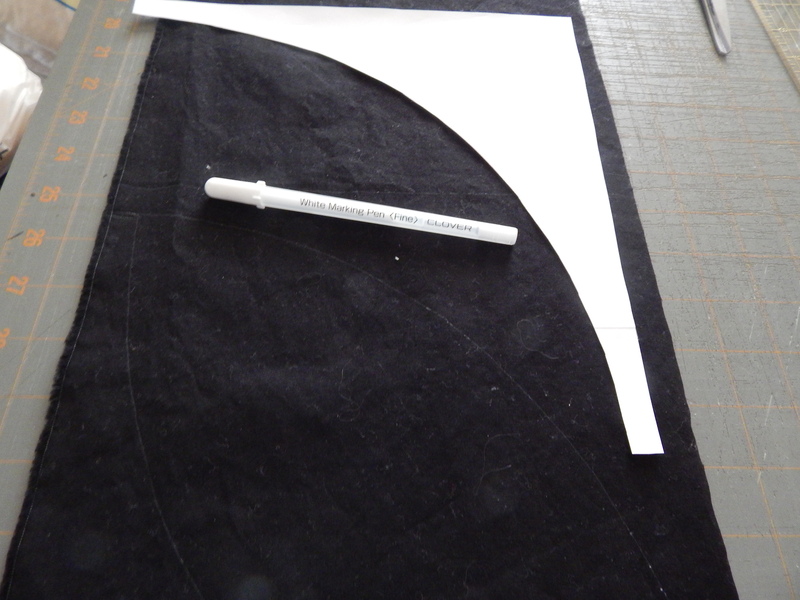 The other part of the template is traced onto the black fabric using a white clover pen. 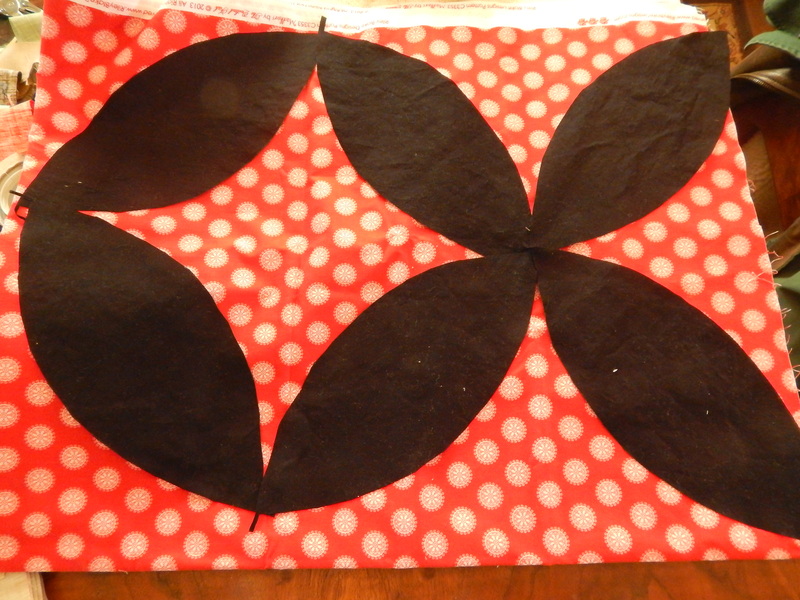 When I cut out the pieces I end up with another set of melon pieces formed by the space between the 2 arcs. 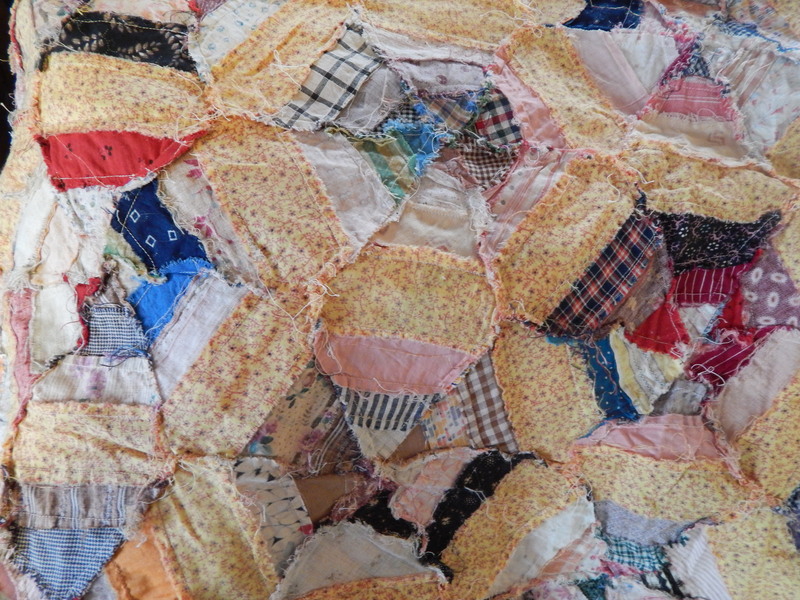 I will make those into a quilt as well. 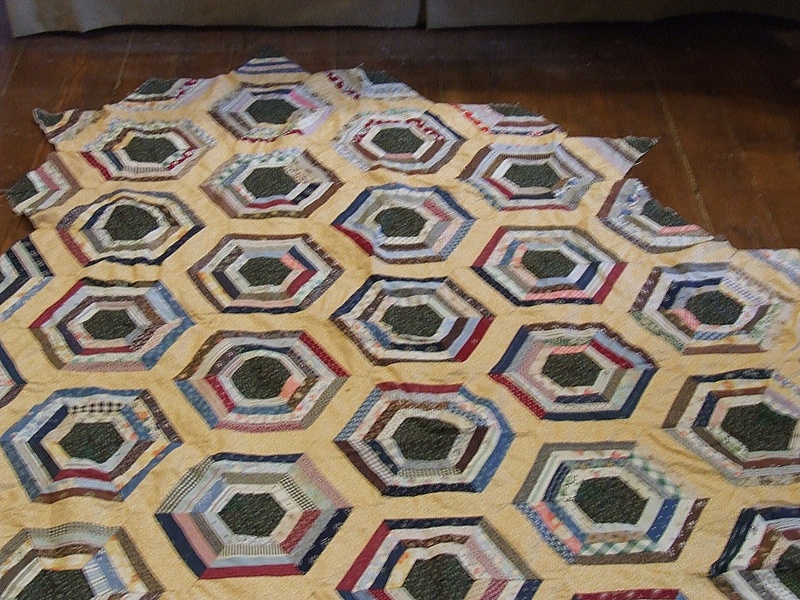 I hand pieced the first block. I might try the next one on the machine. 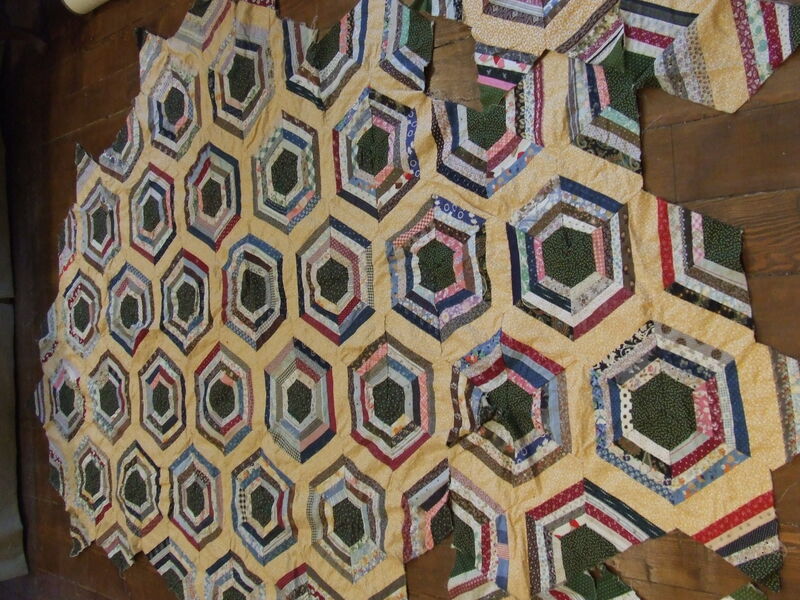 The quilt will be 3 blocks x 4 blocks (60′ x 80″) and I will probably add a border. 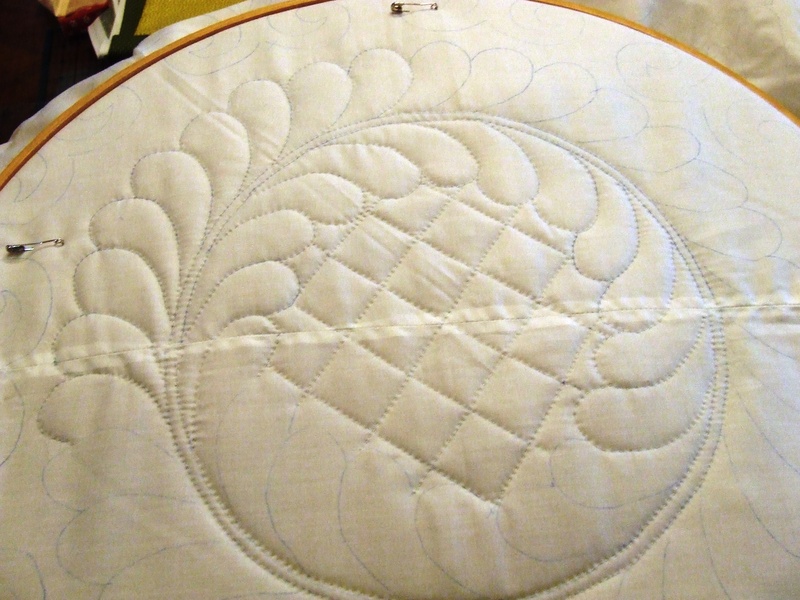 If I copy and paste a picture of the one finished block several times I can get an idea of what the finished top will look like. I didn’t get this lined up exactly but you get the idea of how it will look. 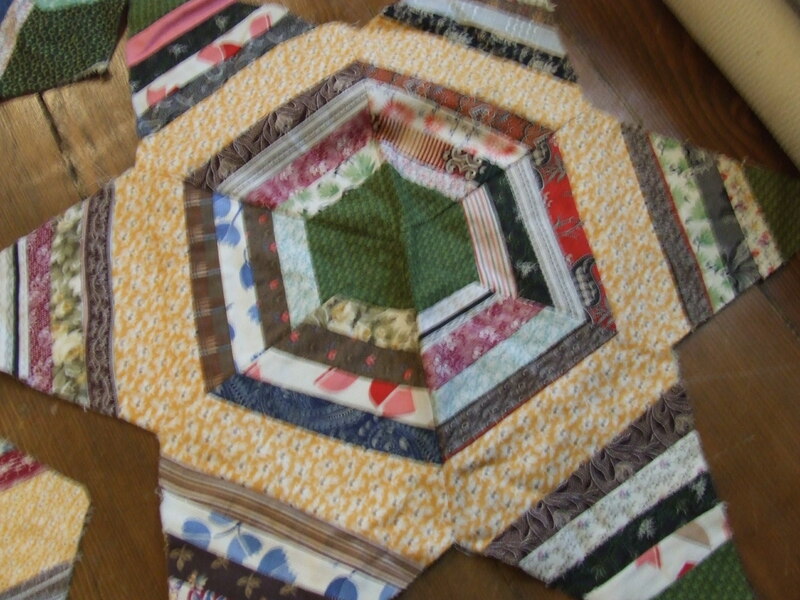 I will hand quilt this but I wont know what pattern I will use until I get it in the hoop. 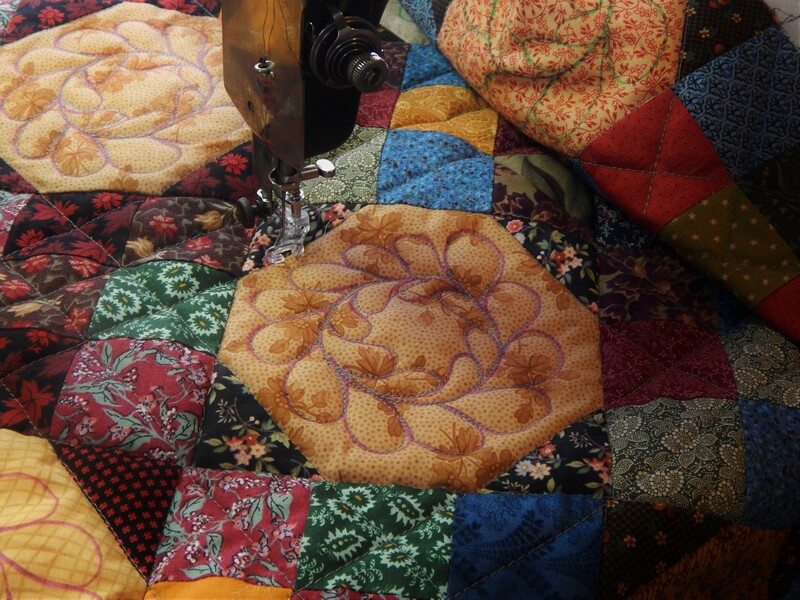 Today’s vintage quilt top is a String pieced Spiderweb that arrived today. 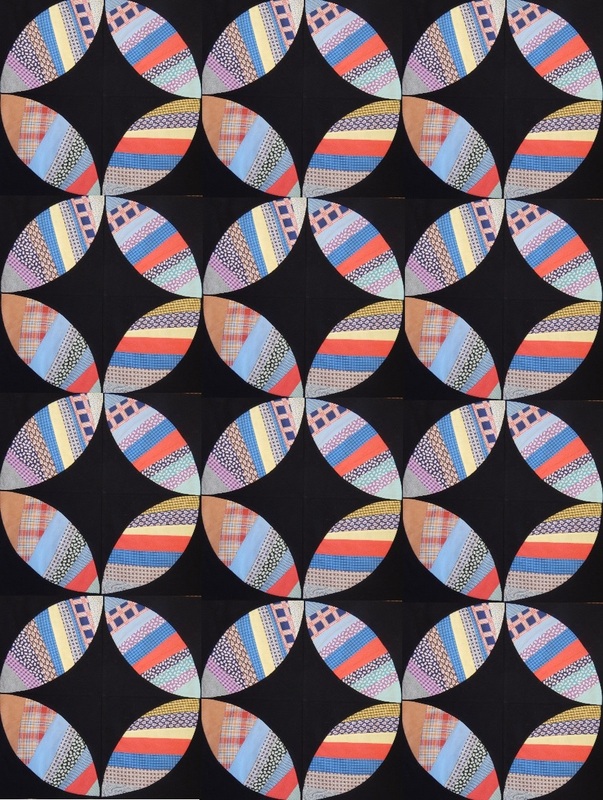 It is an interesting pattern. 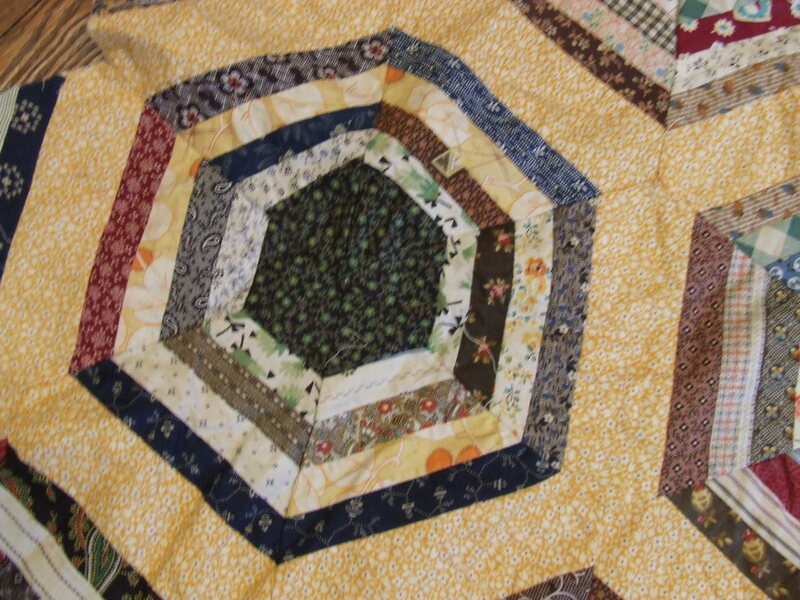 It looks like hexagons with yellow sashing. 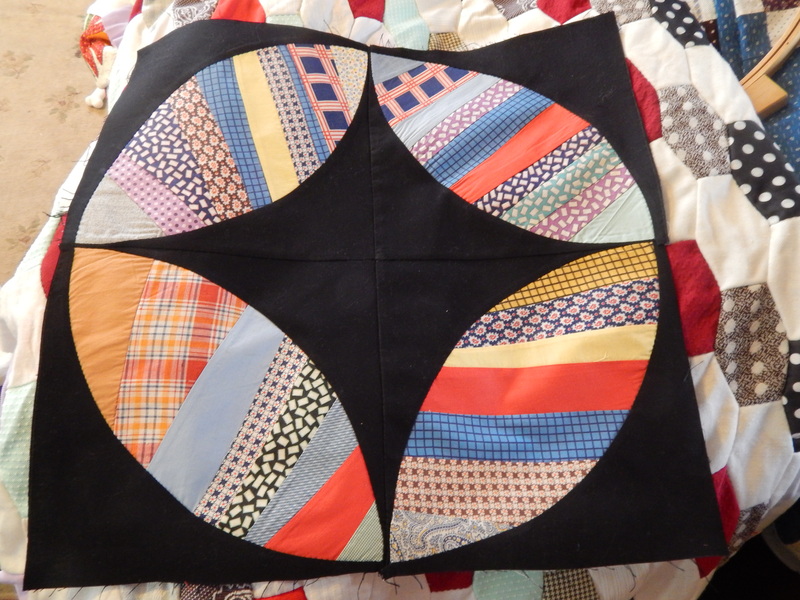 The actual piecing is done with diamonds. Here you can see some of the individual diamonds. With 6 diamonds together you get a star. 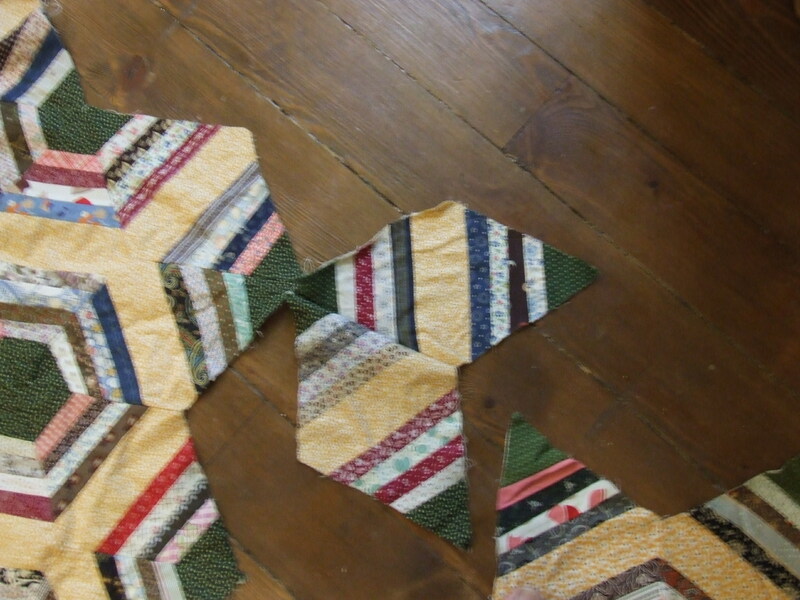 These were pieced on a muslin foundation. The “strings” in this one are straight and uniform sizes from block to block. The strings in the new one are random and it changes to look of the spiderwebs. These were not foundation pieced as you can see from the back. 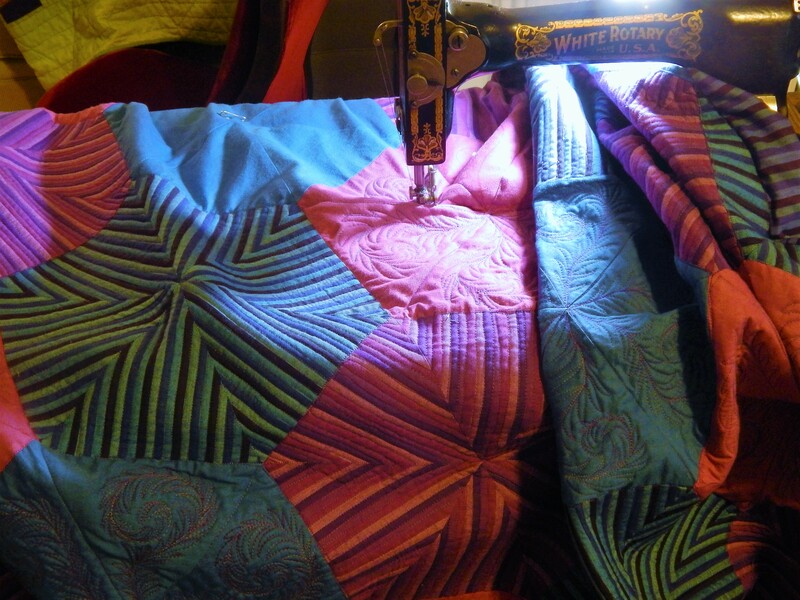 It might be a while before I get these tops quilted but they are fun to look at just as they are. Back to work for me…. 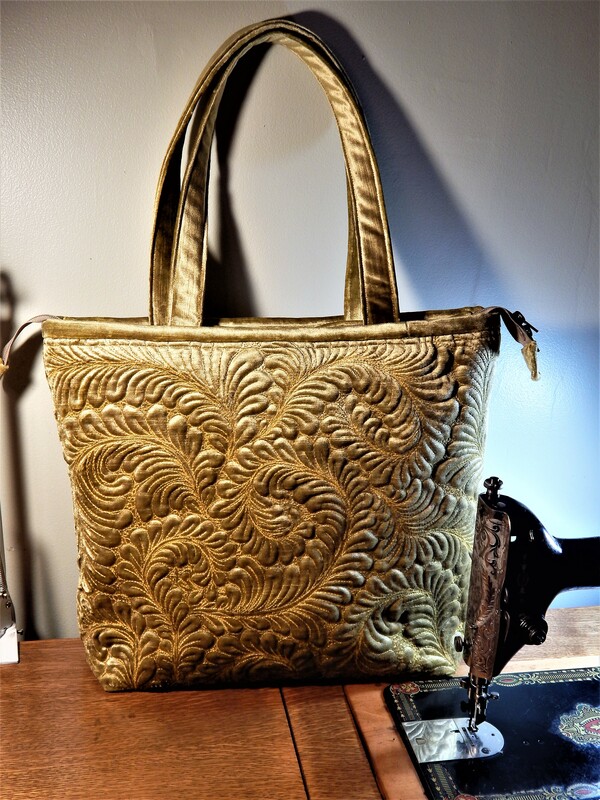 Does it surprise anyone who reads my blog that I bought another antique top from eBay? I could just not pass it up even though it was only partially finished. 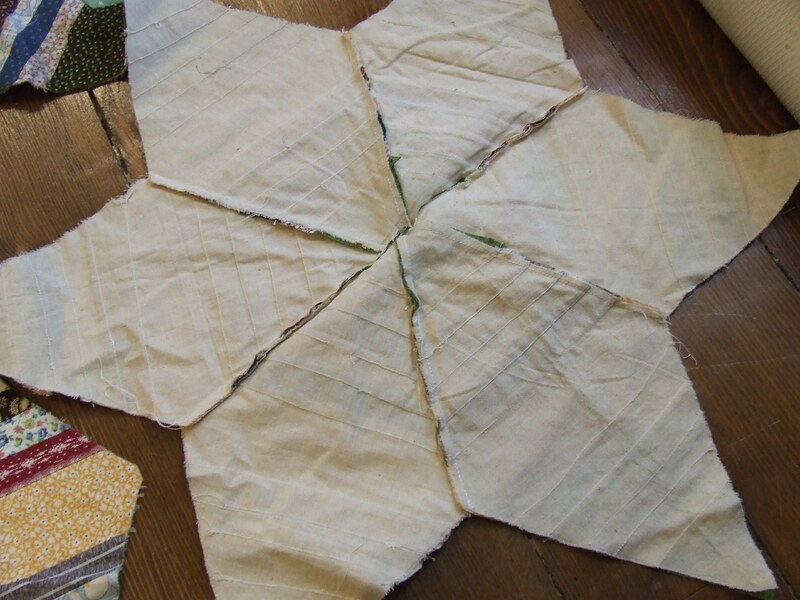 I have been looking at string pieced quilts a lot since I purchased some string star blocks in CO. 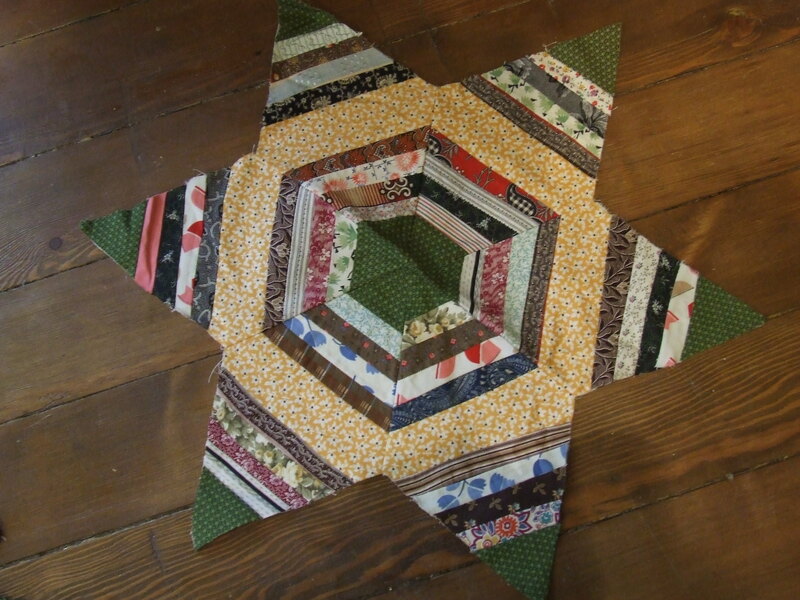 I was also inspired by the work Kate at empty field has done on string stars. 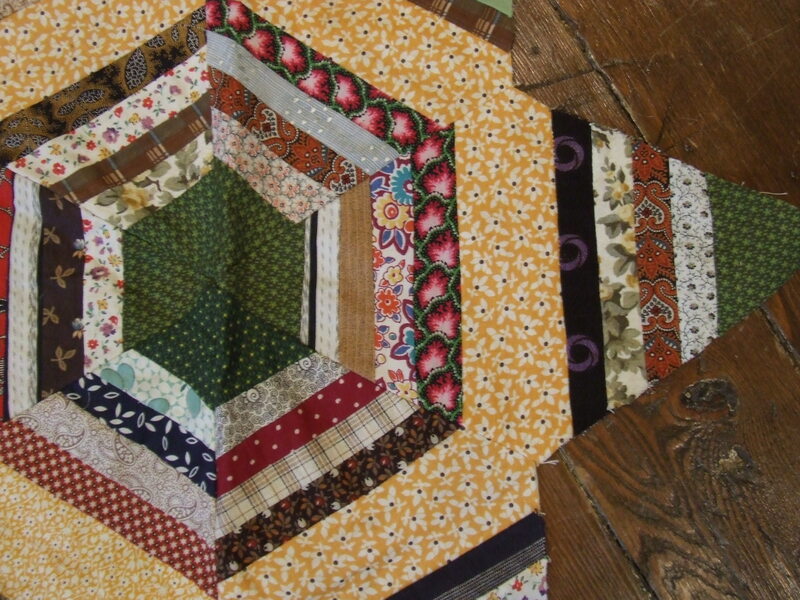 And then Barbara Brackman had a post about string pieced quilts in a similar pattern on her blog. So when I saw this top I knew I had to have it.